Released in May 1967, “Light My Fire” was the second single from the Doors’ eponymous debut, a multi-platinum classic that’s considered by many today to be among rock’s finest debut albums. 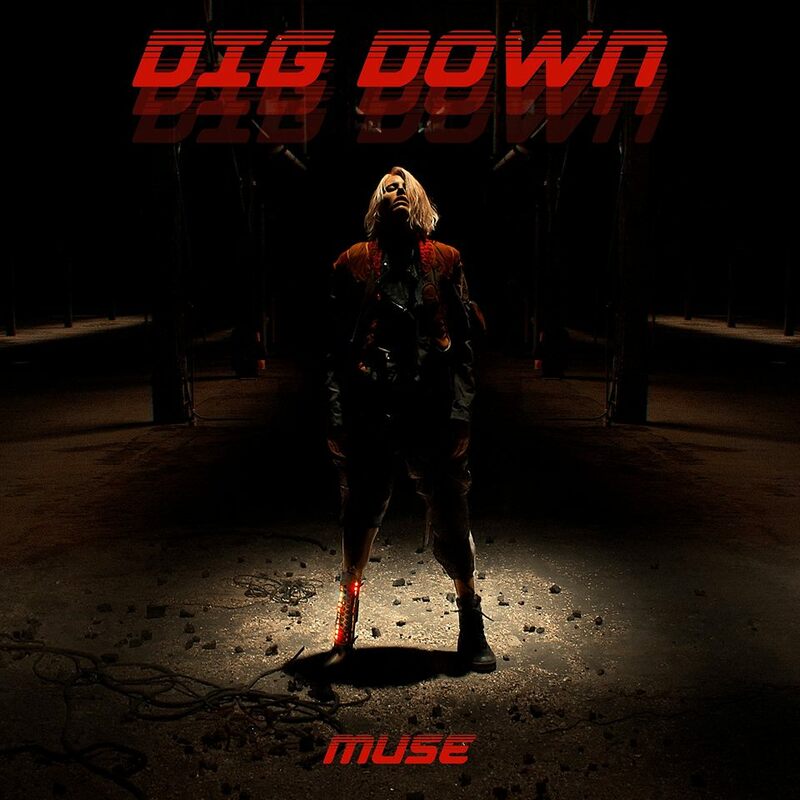 The song entered the Billboard chart on June 3, and after a few weeks it had climbed to the top, reaching number one on July 29. Both “Light My Fire” and the Doors’ debut album have been inducted in to the Grammy® Hall Of Fame and the latter has also been added to the National Recording Registry at the Library of Congress. 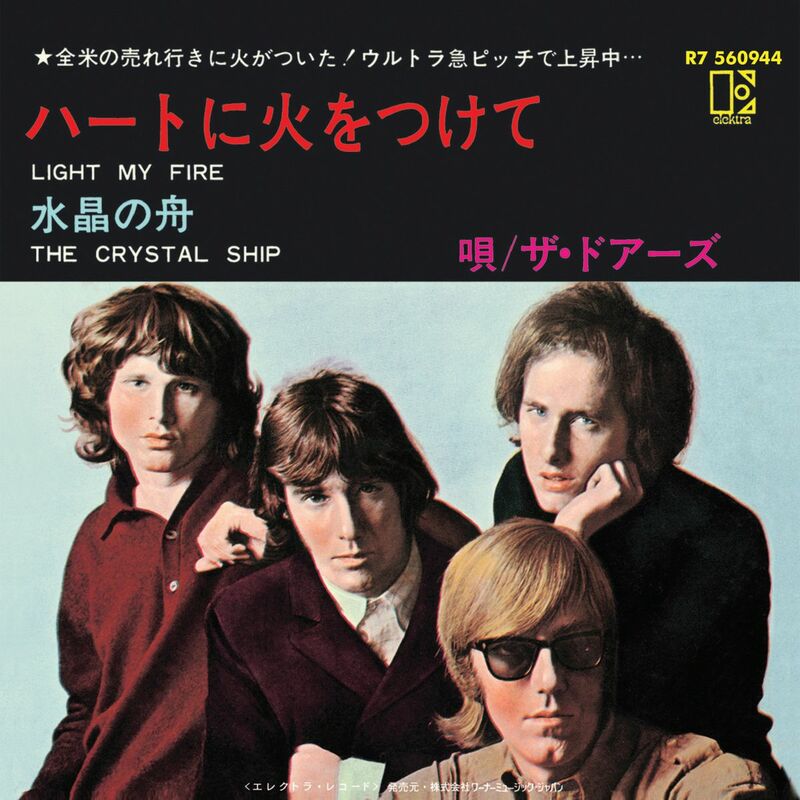 “Light My Fire” will also be included in the upcoming Doors “The Singles” release on September 15. The collection includes every single and B-side the band released in the U.S., all gathered together for the first time. “The Singles” is available in a variety of physical and digital formats including a limited edition vinyl boxed set featuring twenty 7” replicas of all of the Doors’ singles. To mark the legendary album’s silver anniversary, Rhino will release 2 versions on September 29, which is 25 years to the day of the album’s original debut. 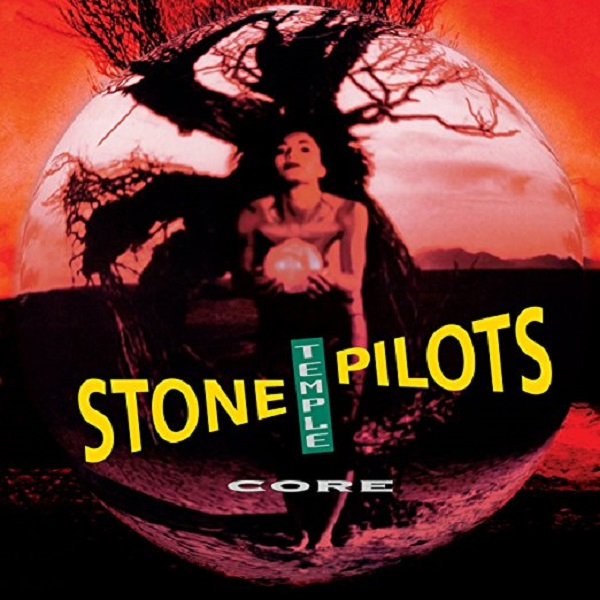 The first is the CORE: SUPER DELUXE EDITION, which includes four CDs featuring a newly remastered version of the original album, plus more than two hours of unreleased demos and live performances, including the band’s performance on MTV Unplugged. 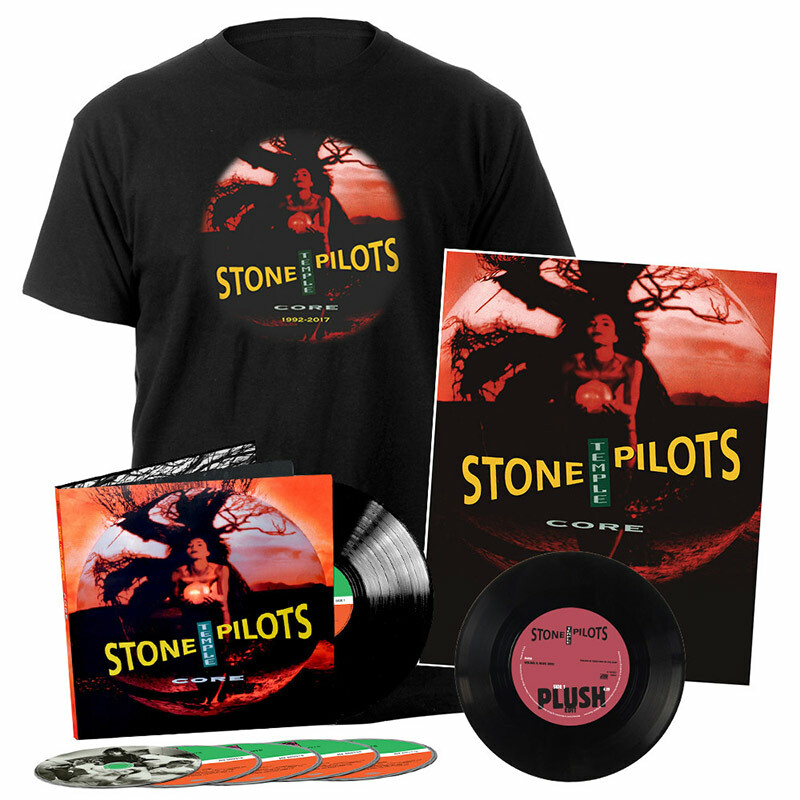 Also included is the original album on vinyl and a DVD that contains a 5.1 Surround Sound Mix of the album along with videos for the album’s four singles. The set, limited to 15,000 copies worldwide, comes packaged in a richly detailed hardcover book (12 x 12) with rare and unseen photographs. The music from the Super Deluxe version will be available via digital download and streaming services. 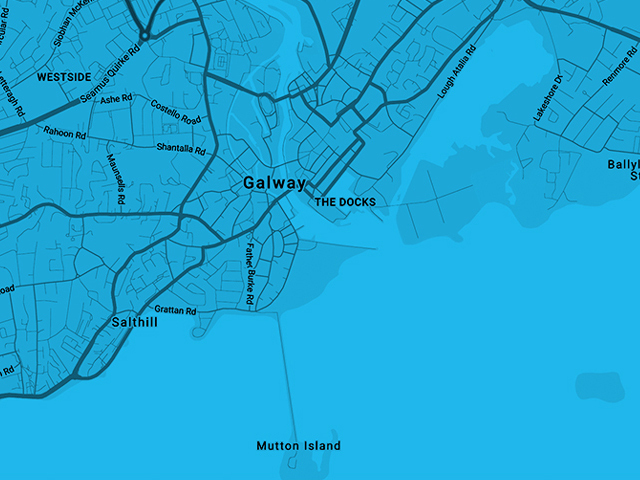 After igniting the writing process with the heavy duty soul-rock of ‘Bold’, ‘As You Were’ was recorded in two locations. Greg Kurstin performed all of the instruments on the four songs that he produced (‘Wall Of Glass’, ‘Paper Crown’, ‘Come Back To Me’ and the psychedelic whoosh of ‘It Doesn’t Have To Be That Way’), while Dan Grech-Marguerat produced the remainder of the album at Snap! Studios in London. One of the most striking aspects of ‘As You Were’ is that all the songs have a purpose. There’s no flab, nothing to cut. They all feel directed at something or someone, setting the record straight or getting his side of the story over, be that the swinging, Bo Diddley-like ‘Greedy Soul’, which incinerates someone who’s the “ungrateful dead” or the mega-ballad ‘For What It’s Worth’ which Liam wrote with Simon Aldred of Cherry Ghost and serves up the album’s biggest chorus. 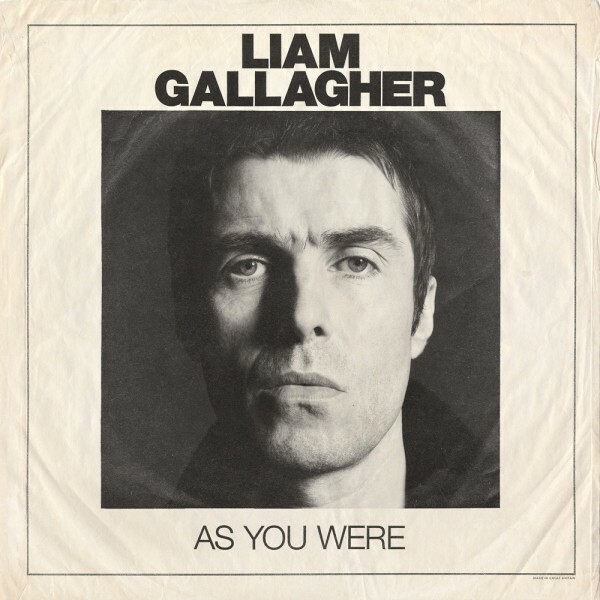 ‘As You Were’ is now available to pre-order from http://apple.co/2sIxEOK with ‘Wall Of Glass’ provided as an instant download. It will be released on digital (standard and deluxe), CD (standard and jewelcase) and vinyl (standard 12” and limited edition coloured 12” formats). A special boxset will also be available from http://bit.ly/2tAWBvG. It compiles a coloured 12” vinyl of the album, an exclusive 7” format of ‘For What It’s Worth’, a print designed by Klaus Voorman (the artist behind The Beatles’ ‘Revolver’ album cover) and additional collectors’ items. Demon Dayz at UK’s Dreamland Margate amusement park is the most hotly anticipated addition to the international summer music festival scene, marking Gorillaz’ return to the live stage as they headline a new one-day festival CURATED BY DAMON ALBARN AND JAMIE HEWLETT, CREATORS OF GORILLAZ, THE ONE-DAY FESTIVAL EXTRAVAGANZA OF DEMON DAYZ WILL SEE RED BULL TV BRING A FREE LIVE BROADCAST OF THE SOLD-OUT EVENT TO ANY FAN WITH AN INTERNET-CONNECTED DEVICE, WHEREVER IN THE WORLD THEY HAPPEN TO BE. From 7pm on June 10th, Red Bull TV will broadcast two channels of live music and content from beyond the stage, featuring Gorillaz’ headline set (approx. 9pm) and performances from a host of guests from their recently released album Humanz. Such a unique event calls for a uniquely qualified host, and Julie Adenuga is just that person. Rising queen of the UK music scene, British radio presenter and DJ for Beats 1, Adenuga will host the Demon Dayz broadcast. The four-hour live programme will be replayed for 24-hours on each channel, with VOD highlights then becoming available. The not-to-be-missed festival debuts this weekend at Dreamland Margate, a recently restored amusement park with 1920s fairground rides and interactive art installations, set in the British seaside holiday resort of Margate. With three stages and an eclectic line-up, the festival will be broadcast exclusively via Red Bull TV. More than just another summer festival, Demon Dayz celebrates the welcome live return of Gorillaz, singer 2D, bassist Murdoc Niccals, guitarist Noodle and drummer Russel Hobbs. A truly global phenomenon, Gorillaz have topped charts around the world and toured the globe from San Diego to Syria, picking up hundreds of millions of streams and record sales along the way. Gorillaz have achieved success in entirely ground-breaking ways, winning numerous awards including the coveted Jim Henson Creativity Honor and are recognised by The Guinness Book of World Records as the planet’s Most Successful Virtual Act. New album Humanz was released to widespread critical acclaim last month, reaching #1 and #2 in the U.S. and Irish album charts respectively, and topping the iTunes chart in 60 plus countries around the world. European Headline Tour Begins This June & Opens in Dublin!! Fueled By Ramen recording group Paramore has announced the eagerly awaited release of their fifth studio album. AFTER LAUGHTER will arrive everywhere on Friday, May 12th. 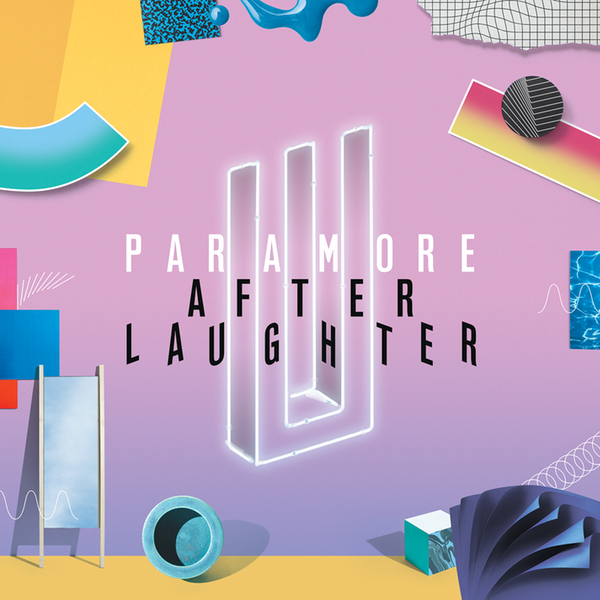 The GRAMMY Award-winning band’s first new album in more than four years, AFTER LAUGHTER, is available for pre-order beginning today and accompanied by an instant grat download of the just unveiled new single, Hard Times. The video for Hard Times, directed by Andrew Joffe, premieres today exclusively on Fueled By Ramen’s official YouTube channel. AFTER LAUGHTER was recorded at Nashville’s historic RCA Studio B – Paramore’s first time recording in their own beloved hometown. The album is produced by Justin Meldal-Johnsen and Paramore’s own Taylor York. “AFTER LAUGHTER” also marks the return of original member Zac Farro to the band. Long regarded as an exhilarating live act, Paramore has spent much of the past decade-plus on the road, with highlights including sold out headline arena tours and show-stealing festival sets around the globe. Paramore has consistently drawn both critical acclaim as well as a wide ranging list of international honours and accolades, now including a GRAMMY® Award, two People’s Choice Awards, three NME Awards, three MTV Video Music Award nominations, and much much more. Paramore will kick off a European headline tour this June, UK dates are as follows. Tickets go on sale April 28th, and for more news, ticket links and prices please visit paramore.net. Their previous self-titled album “PARAMORE” made a chart topping debut atop the SoundScan/Billboard 200 upon its April 2013 release marking Paramore’s first #1 album to date – and also scoring an array of #1 debuts around the globe. “PARAMORE” showcased a string of blockbuster singles including two 2x RIAA platinum-certified hits, the top 10 “Still Into You” and the #1 smash, “Ain’t It Fun.” The latter track proved Paramore’s biggest single to date, ascending to #1 at Hot AC and Rock radio outlets nationwide, #2 at Top 40, as well as to the top 10 on Billboard’s “Hot 100” – the band’s first ever top 10 hit on the overall chart and their highest peaking song thus far. 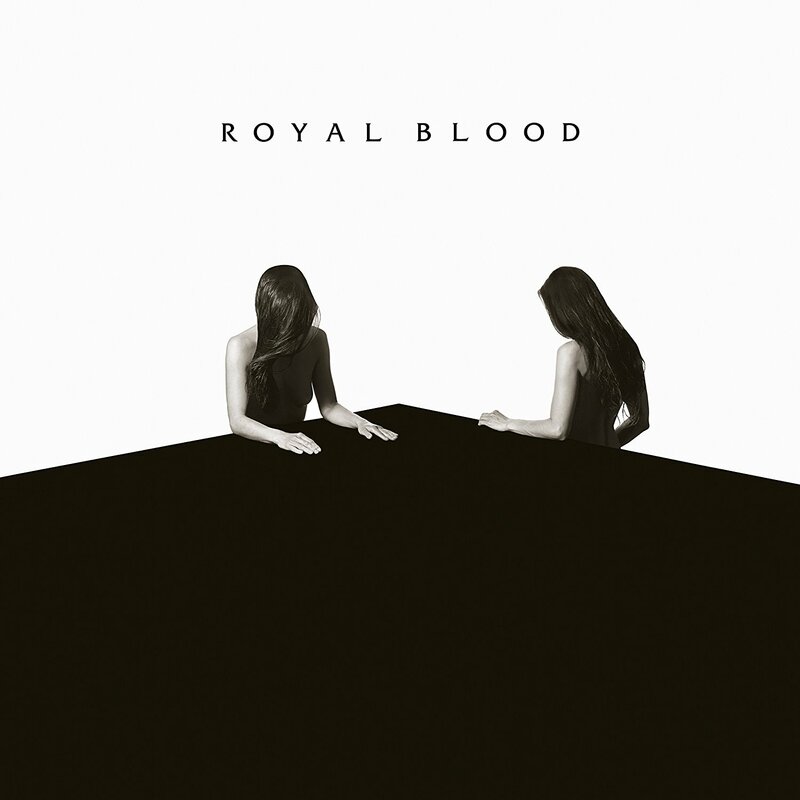 Royal Blood ‘How Did We Get So Dark? Lead single ‘Lights Out’ is available now! 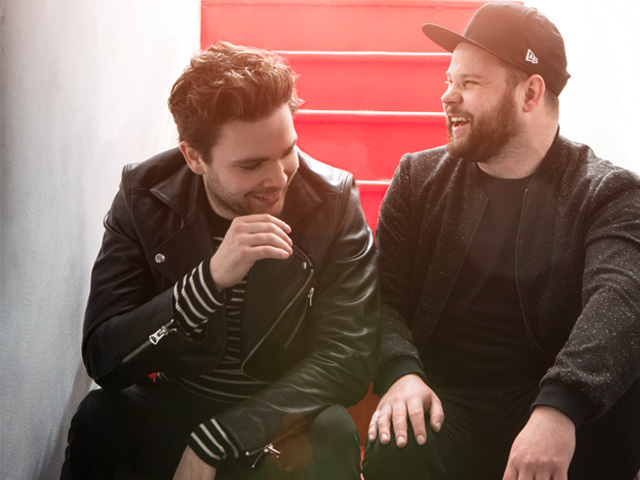 After becoming the biggest breaking British rock band with their self-titled 2014 debut album, Royal Blood’s eagerly anticipated second album ‘How Did We Get So Dark?’ will be released on June 16th on Warner Bros. Records. The album’s lead single ‘Lights Out’ is now available. Royal Blood’s breakthrough was huge. Their debut album was the fastest-selling British rock debut in three years, hitting #1 in Ireland & the UK, going Top 20 in twelve countries, and selling over a million copies. Before they knew it they were performing for Howard Stern, touring with Foo Fighters, holding dressing room audiences with Jimmy Page in New York, and being presented with a BRIT for Best British Band in 2015 by the very same guitar god. Their ascendency was further underlined with major awards courtesy of Kerrang!, NME and Q. The ten tracks that feature on ‘How Did We Get So Dark?’ were written in instrumental form during sessions in Brighton, Hollywood, Los Angeles and Nashville. Always trying to explore ways of stripping their enormous sound back to give it more space and impact, inspiration for the lyrics came from events in vocalist/bassist Mike Kerr’s life since the band first found huge success. ‘How Did We Get So Dark?’ will be released on digital, CD and vinyl formats. 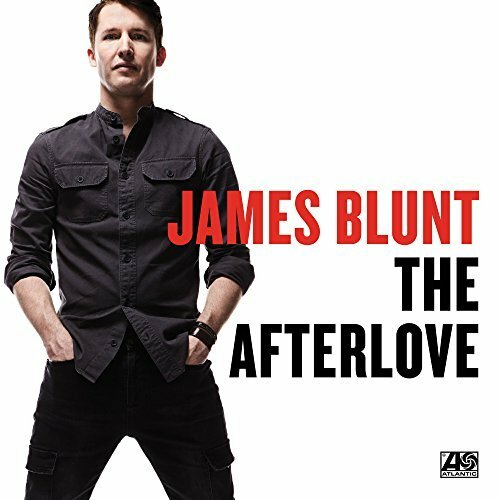 The Warner Music Shop will retail a signed version of the standard vinyl, while a coloured vinyl will also be available from specialist independent retailers. Also available are a super deluxe vinyl set and a cassette. Pre-orders are now open, and all fans who pre-order the album will receive an instant download of ‘Lights Out’. Royal Blood’s summer festival touring commences at Slane Castle where they are the main opening act for Guns n Roses performing in front of 80,000 people! Their touring will continue when they’ll perform at The Governors Ball in New York City in June and concludes with both legs of Japan’s Summer Sonic Festival in August. In the UK, they’re confirmed to play Glastonbury and will headline the Eden Sessions on June 22nd. 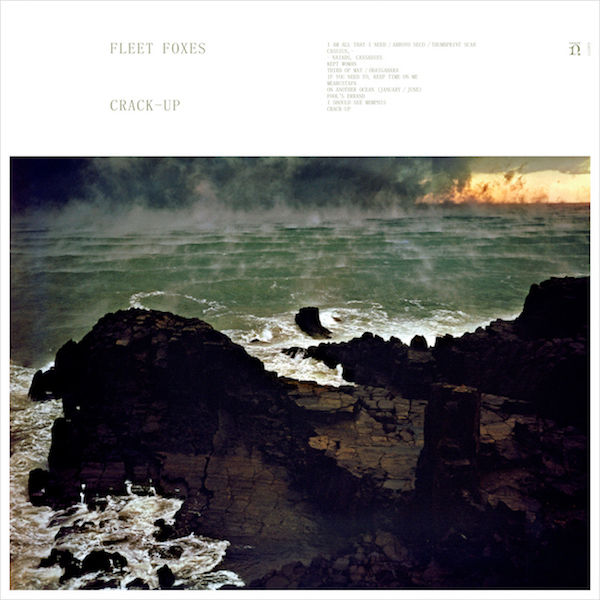 On June 16, Fleet Foxes will release Crack-Up (Nonesuch Records), its long awaited and highly anticipated third album. Crack-Up comes six years after the 2011 release of Helplessness Blues and nearly a decade since the band’s 2008 self-titled debut. Fleet Foxes has released the album track ‘Third of May / Ōdaigahara’, a nearly nine-minute epic powered by piano and electric twelve-string guitar, string quartet, and the group’s trademark sparkling harmonies. In addition, the band has announced new tour dates, including their first North American shows since October 2011. Crack-Up pre-orders are available now from iTunes ; where ‘Third of May / Ōdaigahara’ may be downloaded instantly. All eleven of the songs on Crack-Up were written by Robin Pecknold. The album was co-produced by Pecknold and Skyler Skjelset, his long-time bandmate, collaborator, and childhood friend. Crack-Up was recorded at various locations across the United States between July 2016 and January 2017: at Electric Lady Studios, Sear Sound, The Void, Rare Book Room, Avast, and The Unknown. Phil Ek mixed the album, at Sear Sound, and it was mastered by Greg Calbi at Sterling Sound. 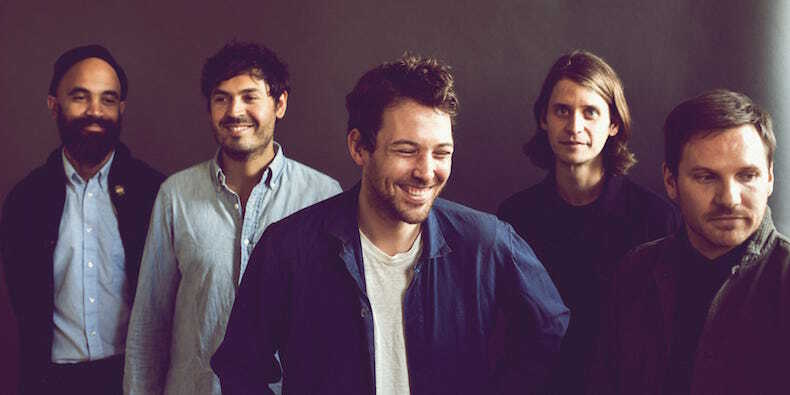 Fleet Foxes is Robin Pecknold (vocals, multi-instrumentalist), Skyler Skjelset (multi-instrumentalist, vocals), Casey Wescott (multi-instrumentalist, vocals), Christian Wargo (multi-instrumentalist, vocals), and Morgan Henderson (multi-instrumentalist). Fleet Foxes’ self-titled debut made a profound impact on the international musical landscape, earning them Uncut’s first ever Music Award Prize, and topping numerous ‘Best of’ lists, including Rolling Stone’s 100 Best Albums of the 2000’s and Pitchfork’s 50 Best Albums of 2008. Fleet Foxes is certified Gold in North America and Platinum in Ireland, UK and Australia. The follow-up album Helplessness Blues was met with the same critical praise as its predecessor (Mojo five stars, Rolling Stone four stars, Pitchfork Best New Music); that album debuted at No.4 on the Billboard Top 200, went Gold in the UK, and earned the band a GRAMMY nomination. Fleet Foxes make a welcome return to Ireland for two dates at Dublin’s Iveagh Gardens: Thursday July 13th, limited amount of tix are still available and Friday July 14th is sold-out.